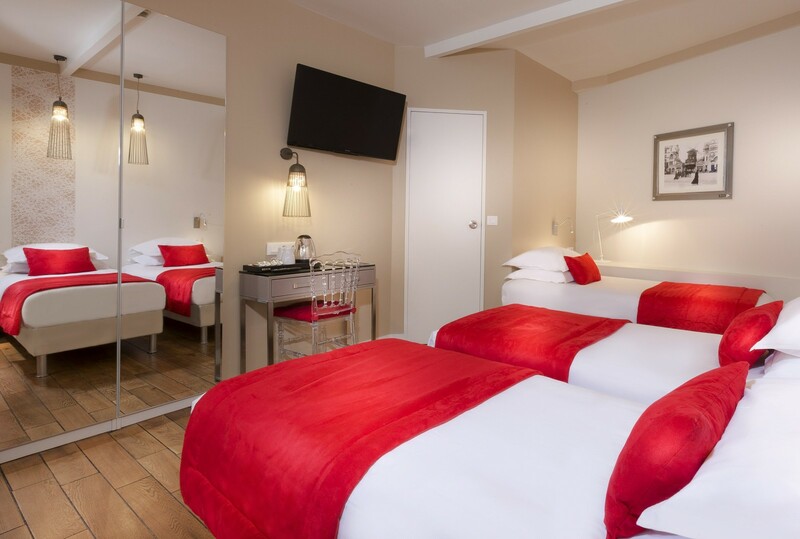 Our comfortable single rooms offer value for money accommodation in the Eiffel Tower district, near UNESCO. 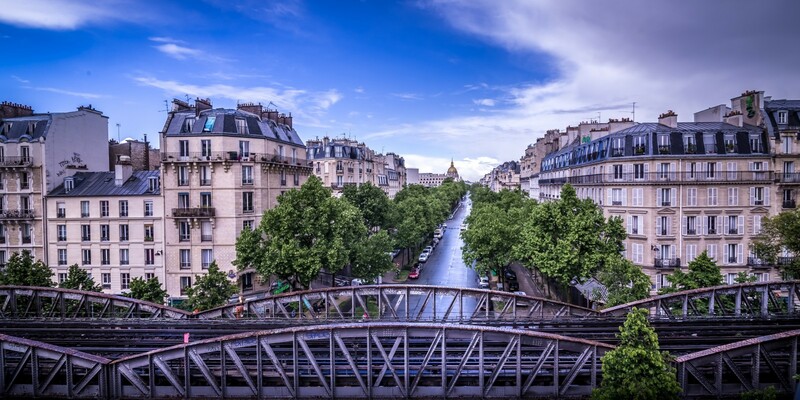 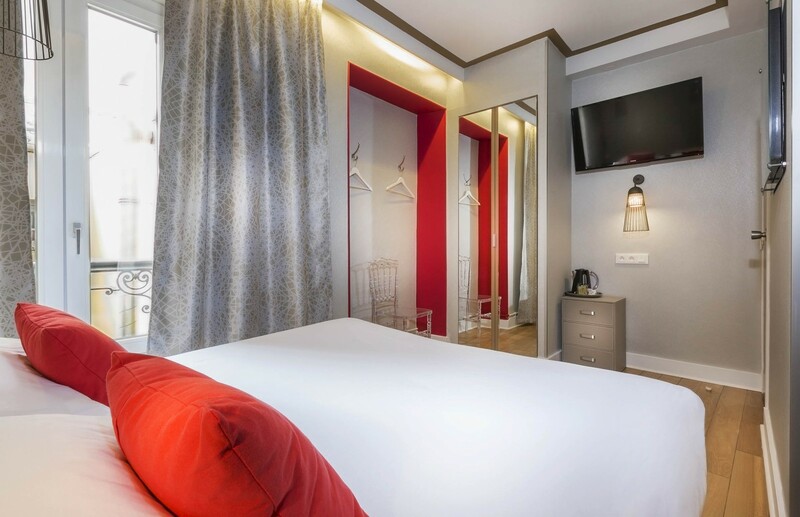 They come well-equipped for a carefree business or leisure stay in Paris and include top quality bedding with plush duvets, desks, free Wi-Fi and direct phone lines. 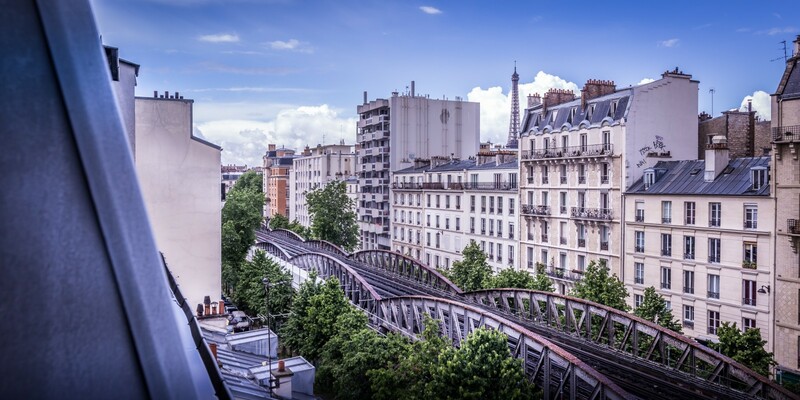 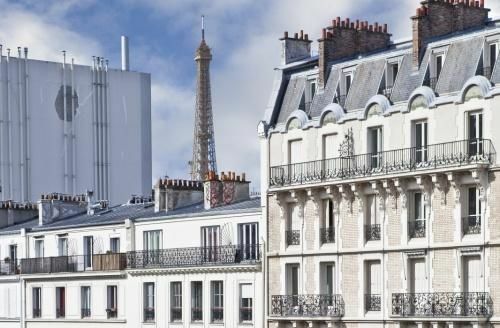 Most of our double rooms are located on the 4th and 5th floor and afford open views of the elegant tree-lined Avenue Ségur with the Invalides and the Eiffel Tower in the background. 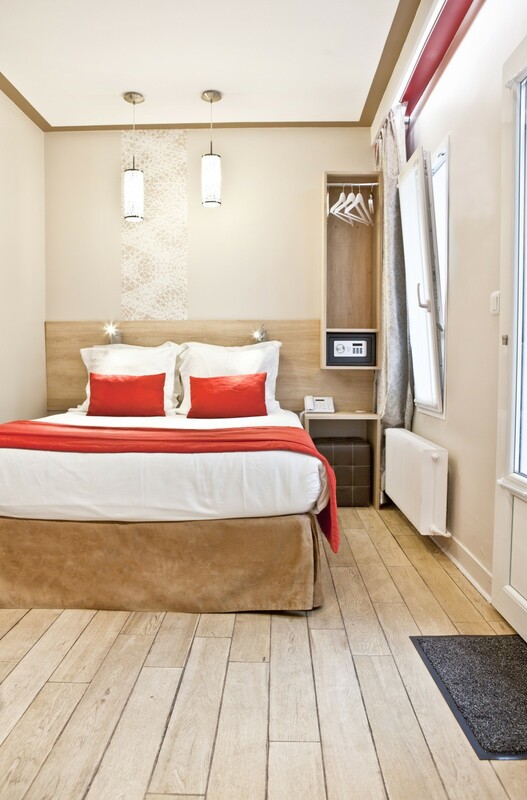 Some rooms feature a brand new decor with modern furniture, parquet flooring and comfortable indirect lighting. 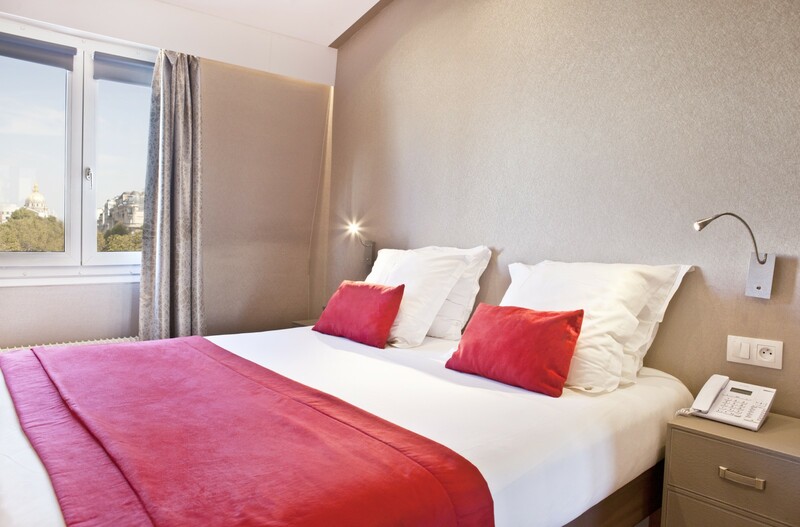 All our rooms boast large double beds with top quality mattresses and duvets to ensure our guests a sound night’s sleep. 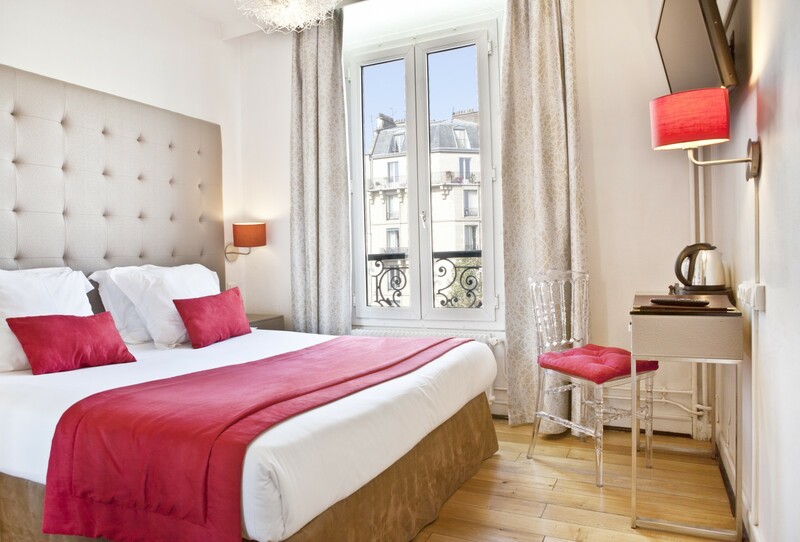 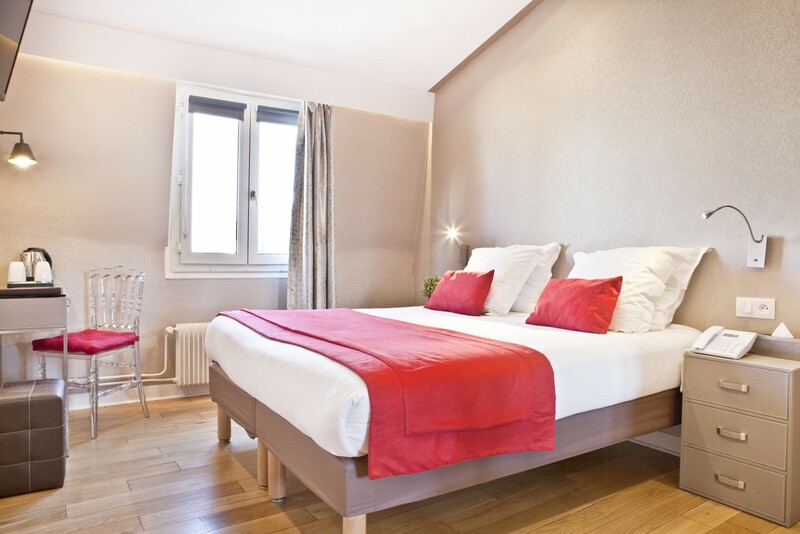 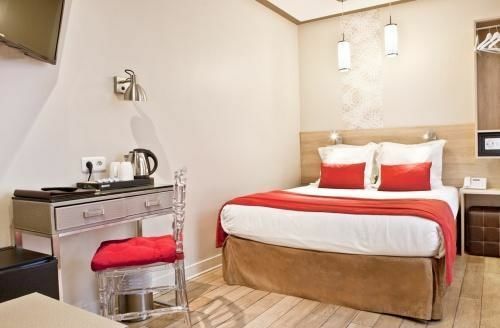 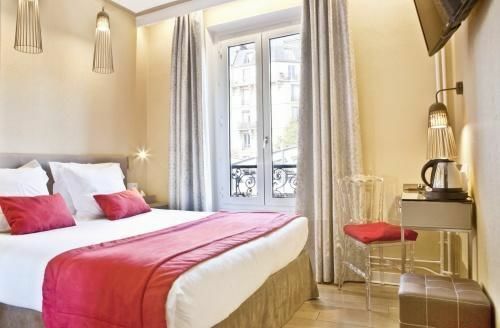 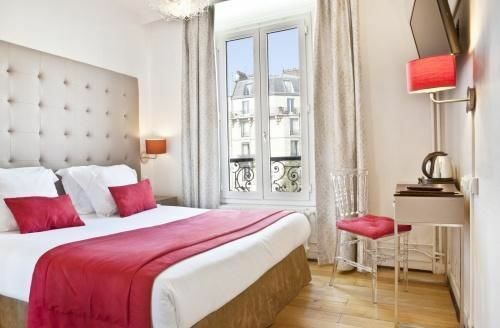 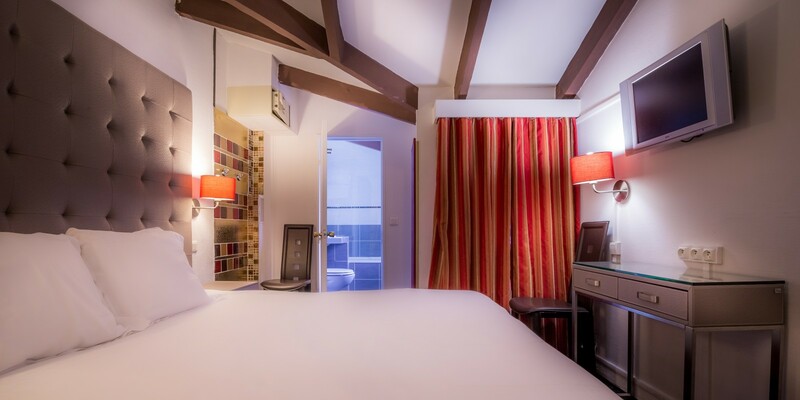 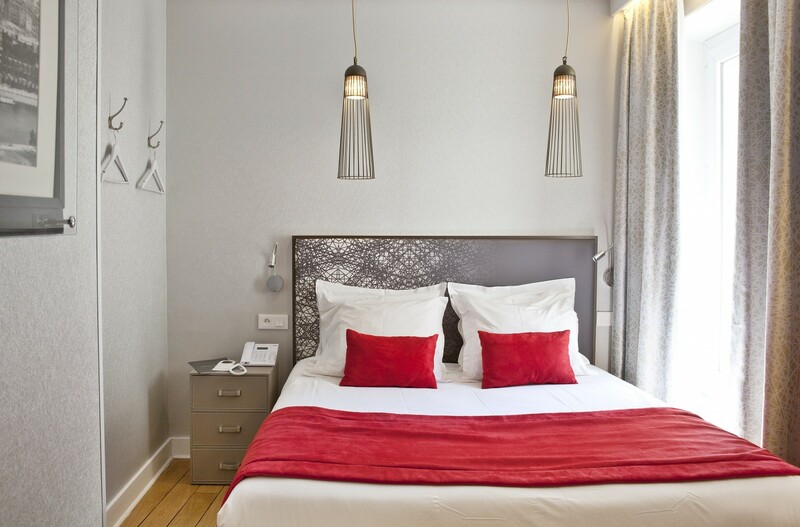 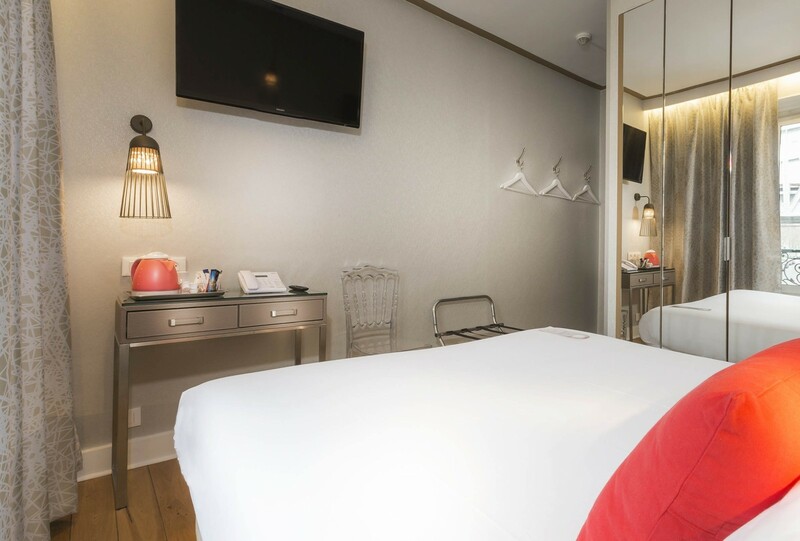 These bright and luminous twin rooms offer leisure or business travellers visiting Paris a comfortable base. 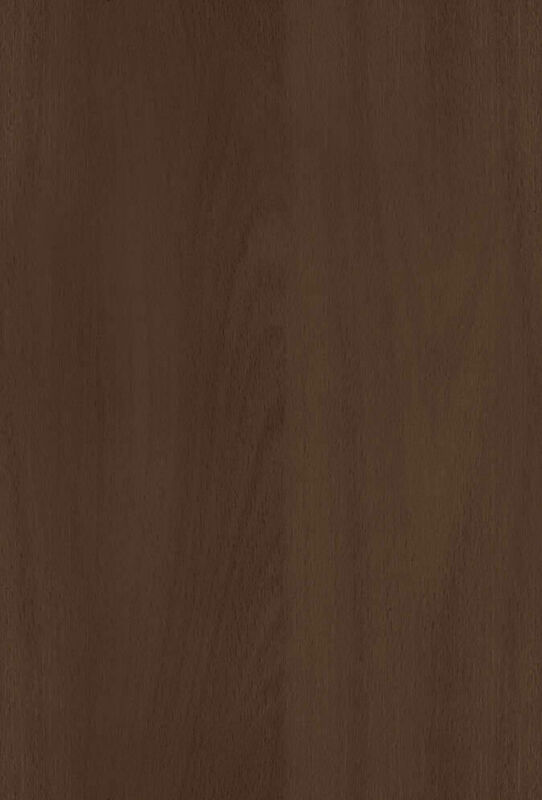 They feature top quality bedding, modern furniture, parquet flooring and comfortable indirect lighting. 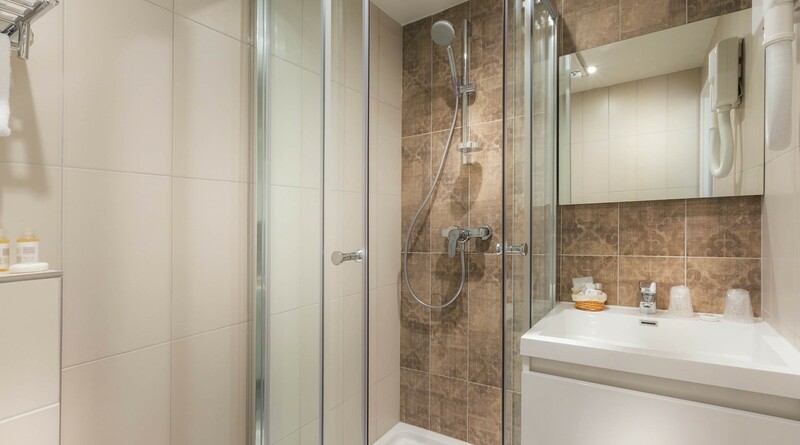 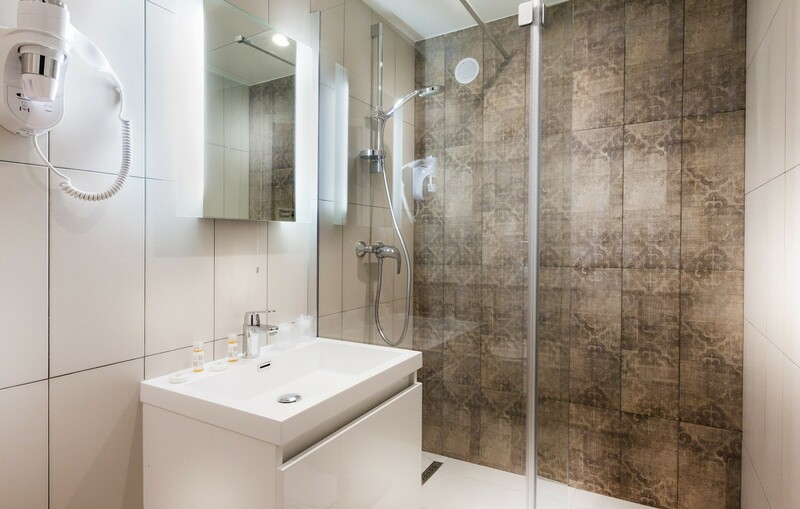 Our modern en suite bathrooms feature either a walk in shower or a bathtub. 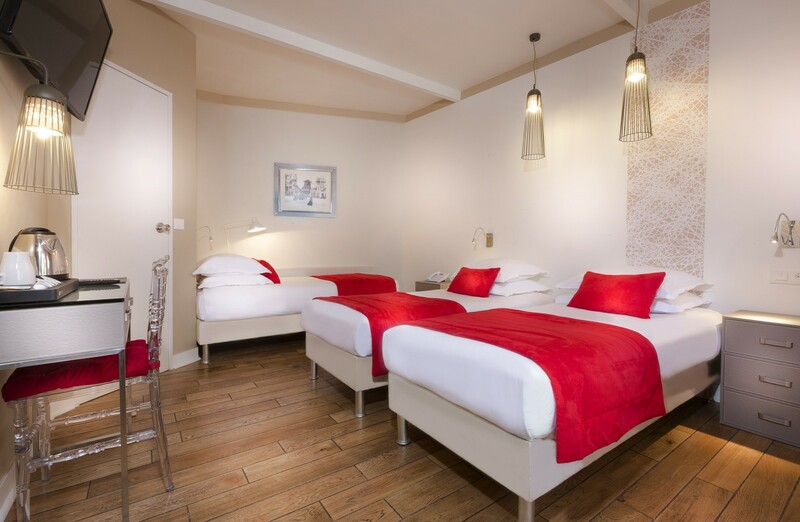 All our superior rooms come equipped for twin or double use and offer a high level of comfort at a reasonable price. 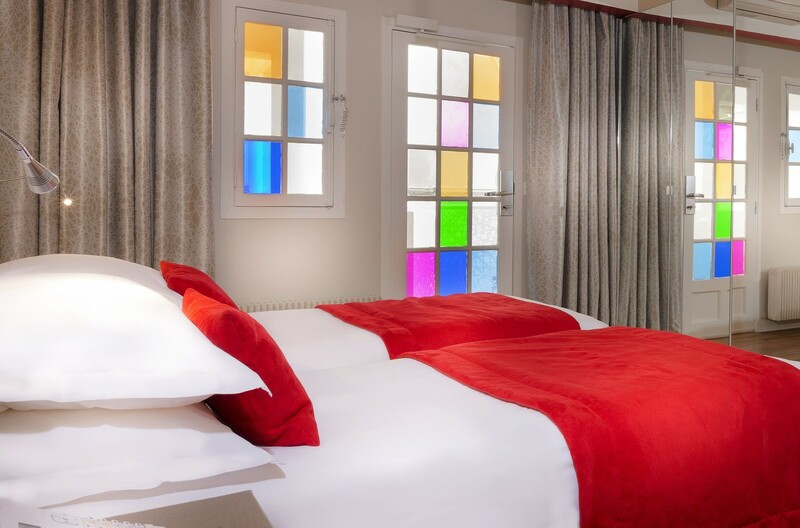 They have all recently been refurbished and boast a fresh new look with a modern decor, bright colours and contemporary furniture. 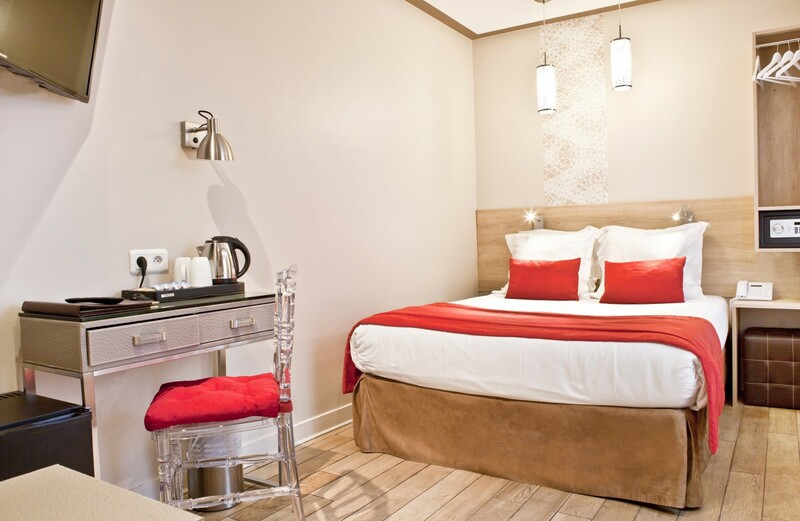 Upgrade to a Superior room and enjoy extra amenities including a mini bar and tea/coffee making facilities. 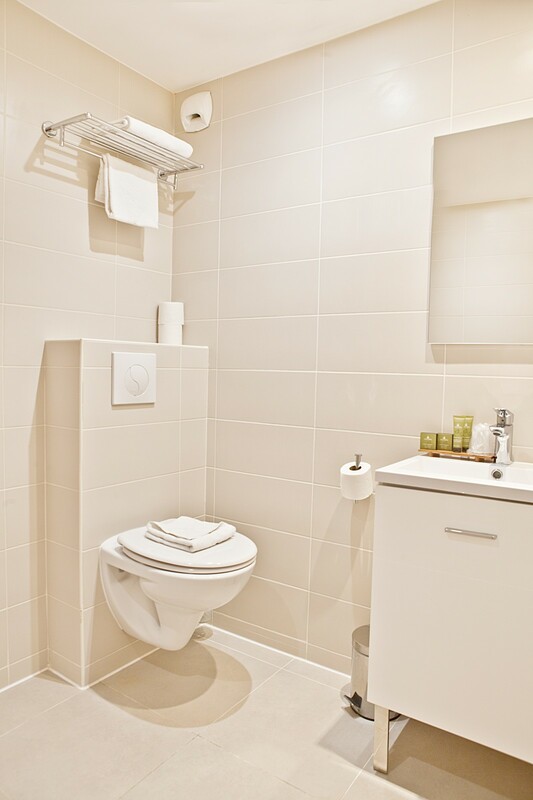 Some rooms open onto our quiet inner courtyard ensuring you a peaceful and serene environment.